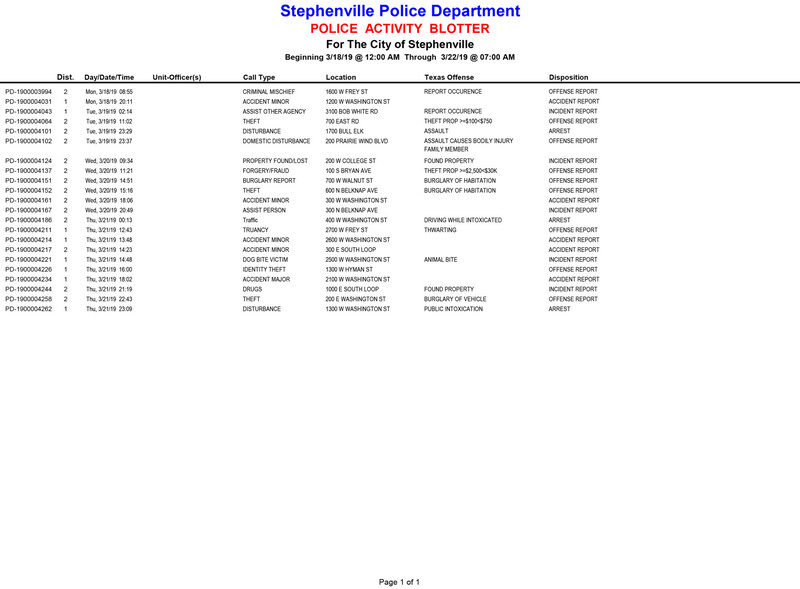 Below is a copy of the Stephenville Police Activity Blotter for the dates of March 18 through March 21. Click image to enlarge. The primary mission of Flash Rock Media and The Flash Today is to provide residents of, and visitors to, Erath County and the surrounding Cross Timbers region a reliable source of up-to-date news, sports, community events and public information that is always free, always local, and to utilize our platforms to provide advertising partners with a cost-effective way to reach potential clients in the wonderful area we all call home.